S/Sgt. Ernest K. King, son of Mr. and Mrs. I. M. King, graduated from Grandfield High School. 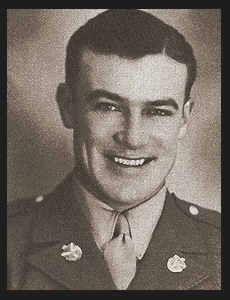 Entered Army in Dec, 1942, trained in Ft. Brady, Mich, Camp Rucker, Ala, Ft. Ord, Cal; served in S.W. Pacific, New Guinea and Japan.